If you would like us to do another show, in the same location and on the same day, it will be an additional $200 per show. For details and info, click here. 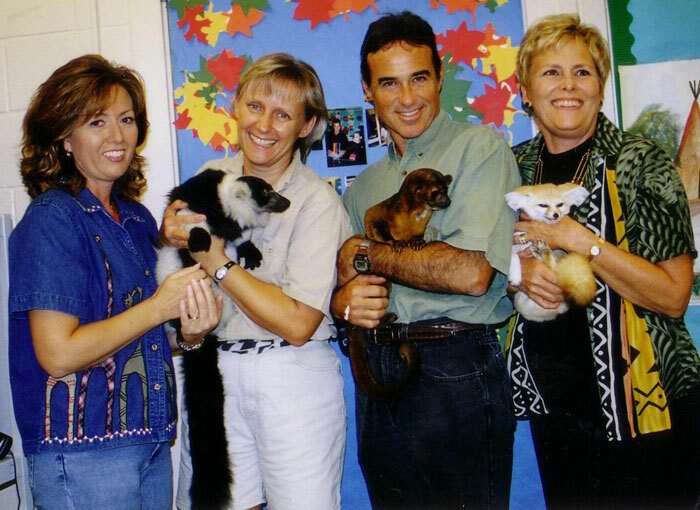 This wildlife show presents a variety of animals in a 'hands-on' format that children of all ages love! 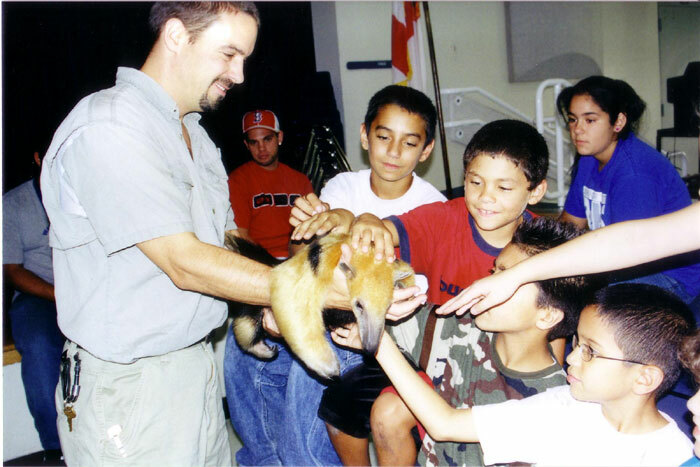 Geared to the particular age range of your class, our trainers explain the different jobs that animals have in nature and show some of their fascinating features with living examples! 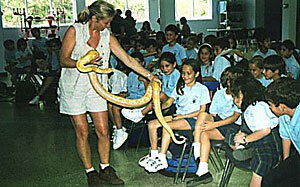 Each show includes arachnids, amphibians, reptiles, birds, and mammals. 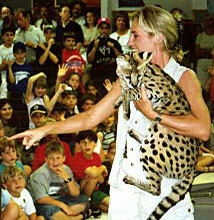 A wide variety of different animals are showcased in a 45 minute presentation. Scorpions, toads, alligators, snakes, birds, monkeys and more! At the end, your class receives our free exclusive poster and our album of clever animal songs. The promo album features songs created for Wild Animal World exclusively and is also available on ITunes, Amazon music and CD Baby. See our Souvenirs and Show Extras page for poster and music details. 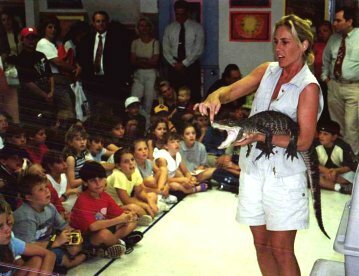 For school and summer camp shows where there is a large audience or very young children, take advantage of our new digitally enhanced wildlife shows with actual video of the animals in their natural habitats. 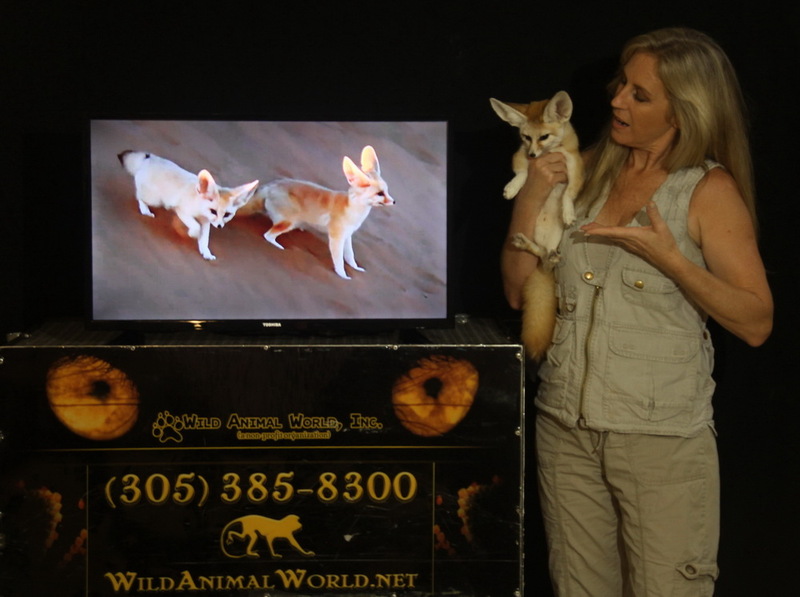 You get everything you normally get in our wildlife show plus television video segments. This is available to indoor and outdoor shows with an available power source.